The first thing you notice as the plane descends into El Dorado International Airport in Bogotá, Colombia is the sun glinting off the river, highlighting the buildings of this bustling metropolis until it does, indeed, seem touched by gold. Situated as a high plateau, the city is ringed by the verdant foothills of the Andes mountains, which explains the enchanting light play as the sun and clouds vie for position. It’s a quick drive from the airport to the brand new Grand Hyatt Bogotá, but the route takes you past a corridor of eye-catching street art that line both sides of the famed Calle 26. Before you know it, you are at the wide sweep of drive that leads to the welcoming entrance of the hotel and a row of the friendliest bellhops. 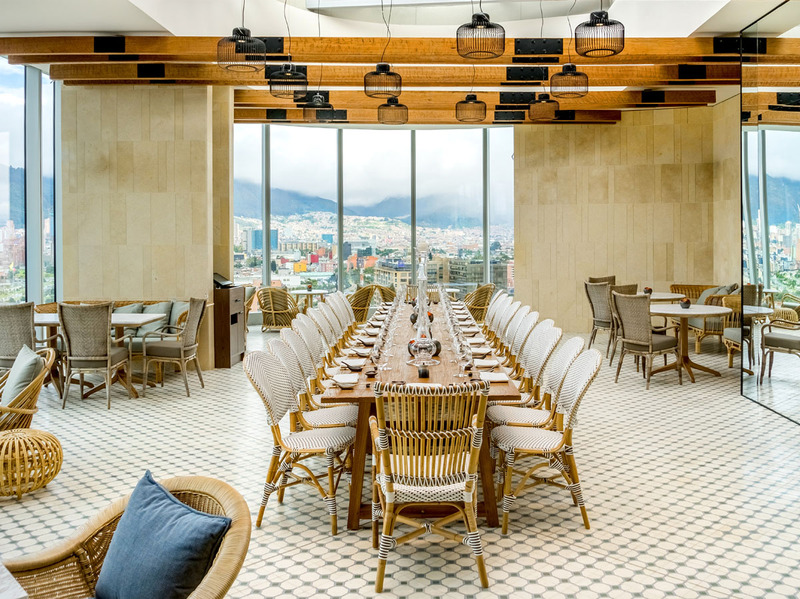 Walking into the light filled atrium and gazing up at the multi-tiered chandelier, you will forget everything you think you know about Bogota, and give yourself over the the series of extraordinary moments of surprise and delight that await you for the duration of your stay. 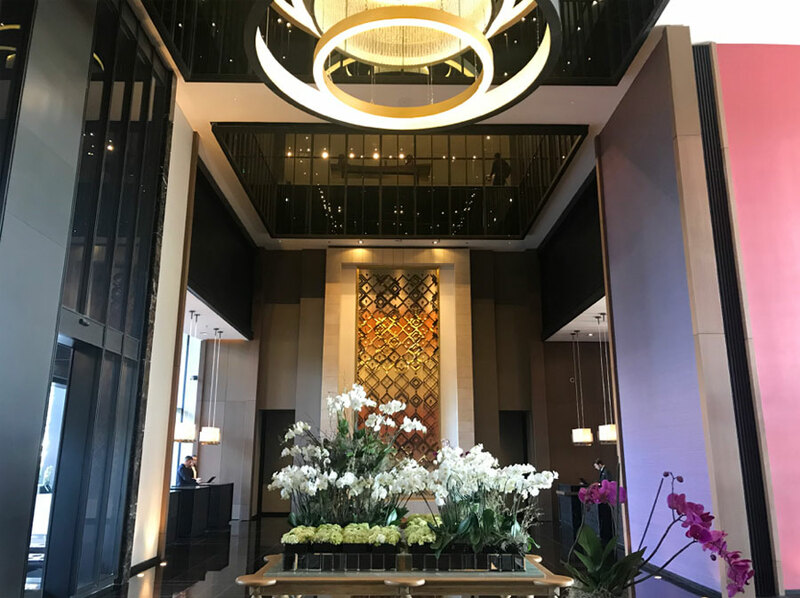 Opening its doors just 4 weeks ago, the Grand Hyatt Bogotá embodies all the luxury and comfort one associates with the brand. 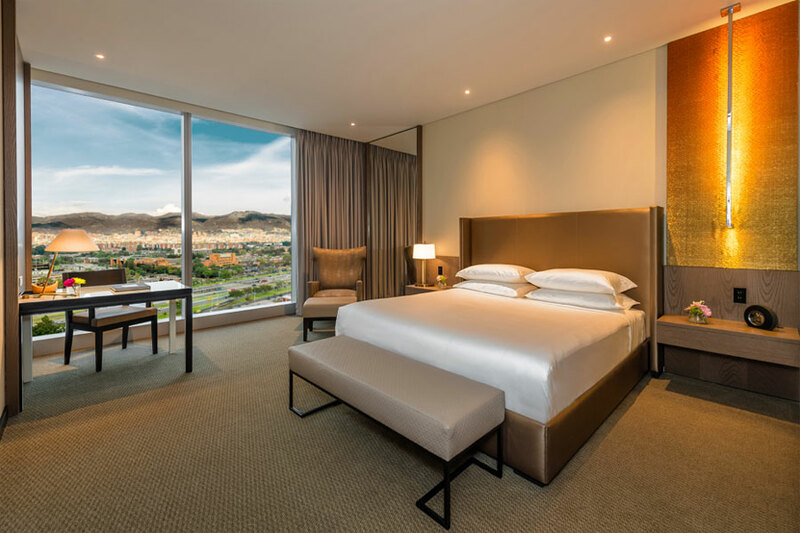 Designed by Chicago based Goettsch Partners, every room of this 372 room hotel boasts floor to ceiling windows with city or Andes mountain views. 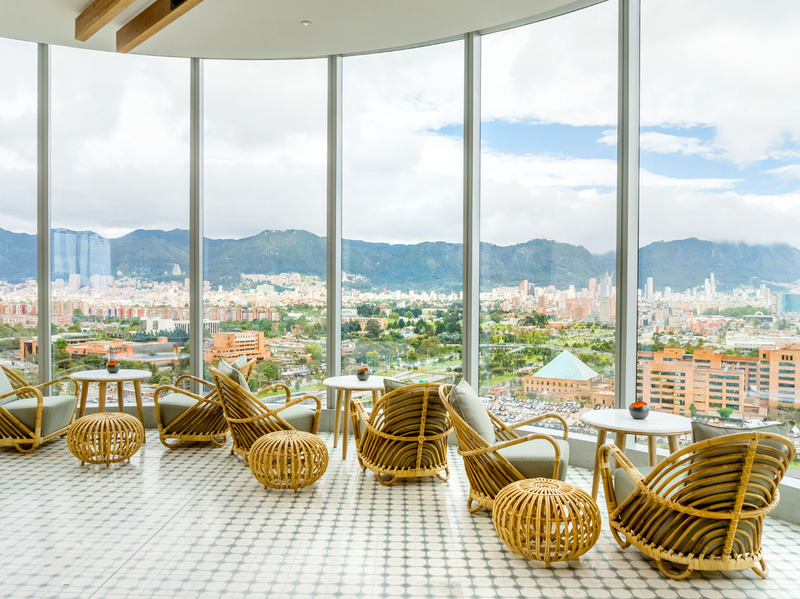 With an additional 50 luxury suites, Bogotá shows the world that though it’s been primarily a business-centric city, it’s ready to take its place as a top travel destination. After checking in and admiring the beautiful display of orchids, it’s time to ditch your luggage and find some refreshment. Fortunately, the hotel gives you more than a few options, and your biggest obstacle will be trying to decide which of the restaurants, bar, or lounge best suits your mood. Ilustré, the sleek first floor bar, is the perfect place to start – grab a stool at the bar for a front row view of the intricate drinks being crafted by their mixologists, or sink into a comfortable banquette and watch the world go by. 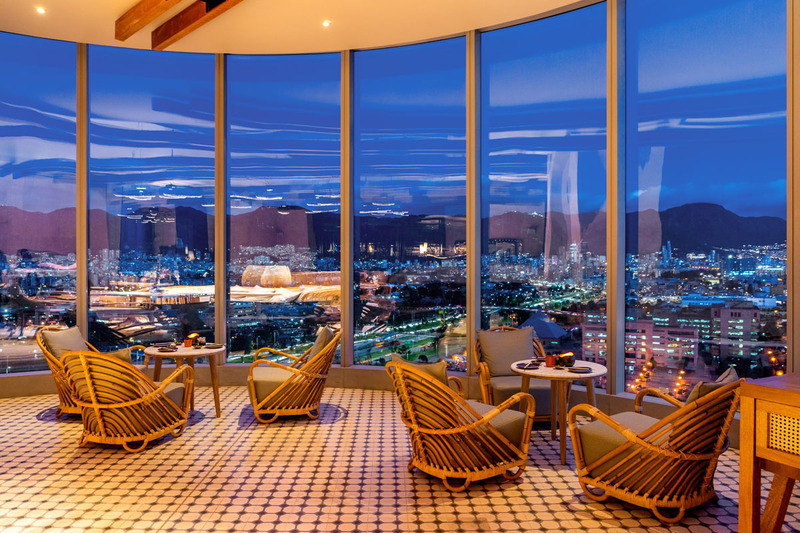 Once you’ve worked up an appetite, make your way to Capitalano for international cuisine that also manages to highlight incredible local produce or opt for Japanese fare at Ushin, the sophisticated bar and restaurant, with astonishing city views that are especially enchanting at night. In the morning, Capitalano offers an extensive buffet with plenty of options for every food sensitivity. 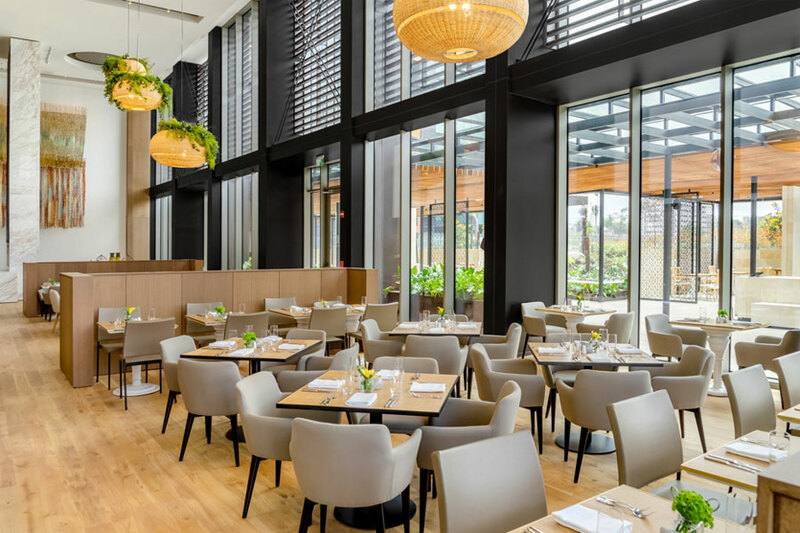 Or grab a cup of Colombian coffee and pain au chocolat from Aldeana, the hotel’s café, and sit outside (if it’s chilly, there are heat lamps) at the charming bistro tables surrounded by lush plants and birdsong. When it’s time for self-care, look no further than Zaitania, the hotel’s 22,000 square foot spa. 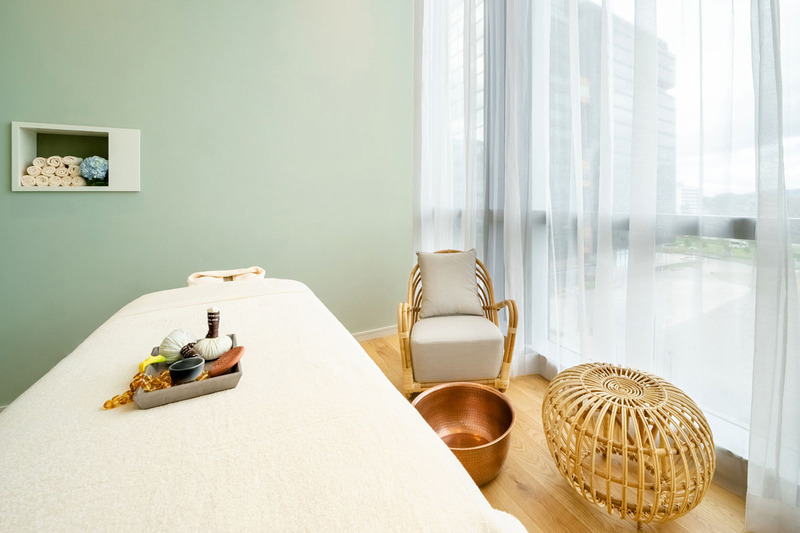 Now the largest urban spa in Latin America, Zaitania offers massage and facial packages to suit single travelers and couples alike. With three double treatment rooms, it’s the perfect place for couples or honeymooners. There are 11 private rooms staffed by experienced aestheticians and massage therapists, who use scrubs and lotions made with botanicals from the Amazon to soothe tired muscles. 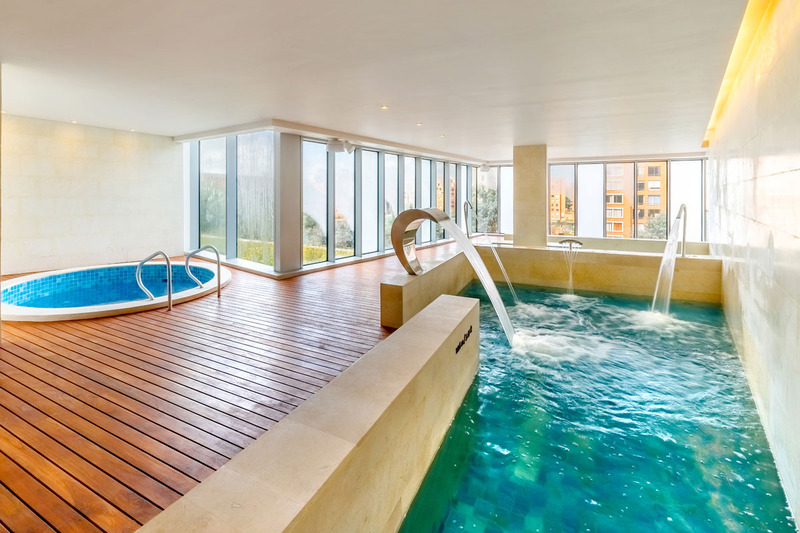 The spa also boasts a light filled semi Olympic pool, three hydrotherapy pools, and wet and dry saunas. The rooms of the Grand Hyatt Bogotá are a study in understated sophistication. The floor to ceiling windows look out on lush gardens, the cityscape, or cloud-topped Andes mountains and make the 441 sq. feet rooms feel even more spacious with generous natural light. 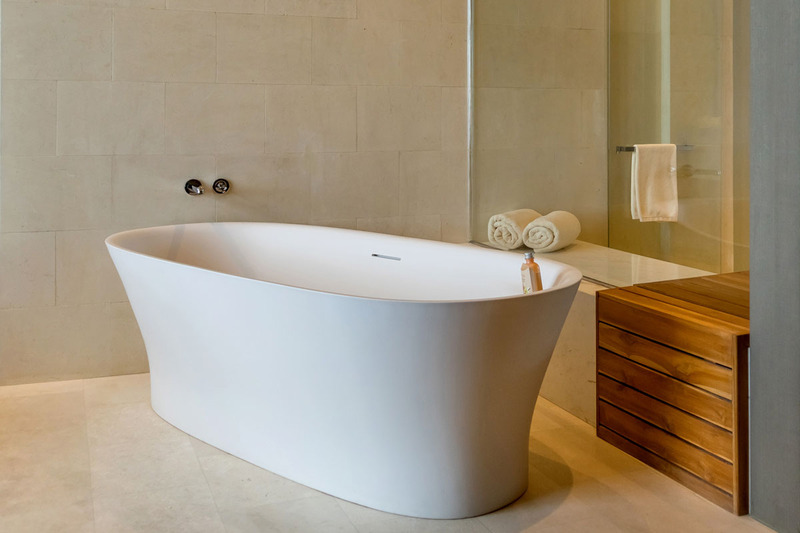 Each bathroom has a large soaking tub, double marble sinks, and multi water source shower. Whether it’s the beautiful art installation of woven metal cloth by Colombian artists, the gorgeous raw wood slab tables from artisans in Chia, or the cozy sitting rooms of curated books and comfortable chairs, The Grand Hyatt Bogotá is a modern interpretation of Colombian history and traditions; an upscale sophisticated place to call home while exploring the museums, historic plazas and buildings, and modern shopping malls of this culturally rich city and is sure to be the first choice for travelers in the know.